200 million dollars: The price tag of building relationships & trust? 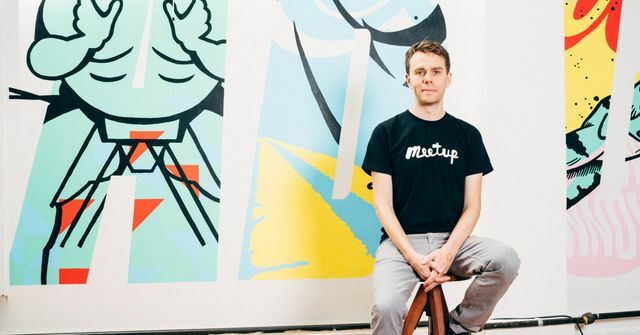 The acquisition of Meetup by WeWork is hot news because of the popularity of both companies, combined with WeWork's seemingly limitless pots of cash and aggressive expansion aims. Now it seems like WeWork is taking another big punt to realise their dream of being the go-to working community. On the face of it, the world's largest office provider struggles to create a sense of community and to foster the inter-company, meaningful relationships within their offices. They are obviously trying to buy the sense of community and the positive associations with the Meetup brand. Having started my professional career in a WeWork, it's very telling that they have made this acquisition. Like most workplaces, as soon as evening arrived, the place evacuated and the 'community' events they put on often felt quite lacklustre and inauthentic. For me, this is a rather visible sign that WeWork (and most organisations around the world) realise the inimitable value of facilitating the development of new and strengthening existing relationships. Particularly, they realise the value of being the facilitator/at the heart of it all and that society has pushed back against quite a lot of the digitisation of our relationships. We still inherently crave a real conversation, tangible communication and authentic relationships with our business connections. There is something particularly satisfying about the 'back to basics' aspect of MeetUp, which is at its core, a vehicle to allow people to connect, much like Facebook and LinkedIn. Person-to-Person communication is the best road to building strong, successful and stable working relationships. WeWork's purchase is one of the most visible examples that it's with one-to-one communication where the value will remain in our increasingly digital economy. Inadvertently, Meetup’s contrarian approach to melding the physical and the digital may house the solution to this problem of emotional and intellectual disconnect that everyone is racing to solve. So while it makes sense that WeWork, in its goal to own work culture, would want Meetup, its sale signals something significant. It’s possible that the tools for creating genuine intimate connections through tech were here all along, and that Meetup is about to be part of a crucial arms race, as companies realize the value of—and endeavor to build—systems that help us create trusting relationships with one another.